The cord blood banking market has matured substantially over the past few years, creating new threats for market participants, as well as novel investment opportunities. Serious threats to the industry include new accreditation requirements that have increased the cost structure of cord blood banks, expensive cord blood transplantation procedures, difficulty with educating obstetricians about cellular therapies, and more. However, significant market opportunities also exist within the cord blood banking market, including the potential to expand the market size through increasing public awareness, new clinical trial data supporting increasingly diverse applications for hematopoietic stem cells (HSCs) from cord blood, improving public perception toward stem cell therapies, and substantial deal-making within the industry, including mergers, acquisitions, and private funding rounds. If you are an investor considering an opportunity within the cord blood market, the market can initially appear technical and confusing. However, if you focus on four key metrics, you can quickly and easily assess the technical attributes that matter, including market size, market potential, market competition, and market growth rates. Hematopoietic Stem Cells Transplant Rates – This metric allows you to know the total number of hematopoietic stem cell transplants occurring per year and to identify year-over-year changes. Rates of Cord Blood Utilization – This metric allows you to identify what percent of total hematopoietic stem cell transplants are contributed by cord blood stem cell transplants. Frequency of Cord Blood Stem Cell Transplant Relative to Other Alternatives – This comparison allows you to identify the frequency at which cord blood stem cell transplants are performed, relative to the two other existing stem cell transplant alternatives, bone marrow and peripheral blood stem cells. Awareness Rates for Cord Blood Banking – Finally, cord blood awareness statistics allow you to identify current rates of market penetration, as well as to quantify the significant potential for market expansion if awareness rates are increased. The cord blood banking market first emerged in 1974, when it was proposed that stem and progenitor cells were present in human cord blood. Later, it was determined that cord blood stem cells had similar properties as bone marrow and could be used as an alternative. 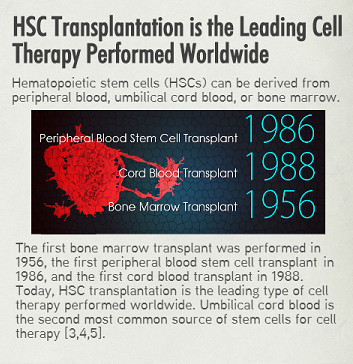 Hematopoietic stem cell transplantation (HSCT) is the transplantation of multipotent hematopoietic stem cells, usually derived from bone marrow, peripheral blood, or umbilical cord blood. It is most often performed for patients with cancers of the blood or bone marrow, such as leukemia and multiple myeloma. Because umbilical cord blood is a rich source of young, pure hematopoietic stem cells, umbilical cord blood can be used for the treatment of both hematological and non-hematological conditions. As shown in the infographic below, umbilical cord blood is the now second most common source of stem cells for cellular therapy,making the cord blood market of substantial interest to the investment community. The infographic below explores other conditions within the cord blood market as well, with emphasis placed on identifying market metrics that have the potential to drive commercialization. It was created for investors, because you have the difficult task of assessing commercial opportunities. However, this infographic will also be of interest to the management of cord blood banks and to the management of companies who sell products in the cord blood banking marketplace (reagents, software, equipment, and more). Enjoy, comment, and most importantly, make intelligent investment decisions. Plus, for information on how market research can help your company achieve success, download our free eBook. 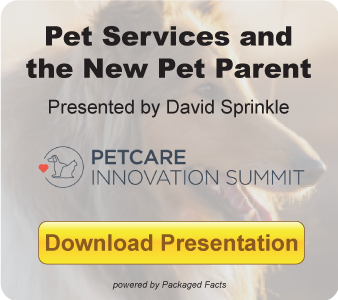 The blog post is written by Cade Hildreth, CEO of BioInformant Worldwide, LLC. BioInformant is the only research firm that has served the cord blood sector since it emerged. Our management team comes from a BioInformatics background – the science of collecting and analyzing complex genetic codes – and applies these techniques to the field of market research. BioInformant has been featured on news outlets including the Wall Street Journal, Nature Biotechnology, Medical Ethics, CBS News, and the California Institute for Regenerative Medicine (CIRM). Serving Fortune 500 leaders that include GE Healthcare, Pfizer, Goldman Sachs, Beckton Dickinson, and Thermo Fisher Scientific, BioInformant is your global leader in cord blood industry data. Purchase individual report sections for a pro-rated price. Visit Profound.com to learn more.